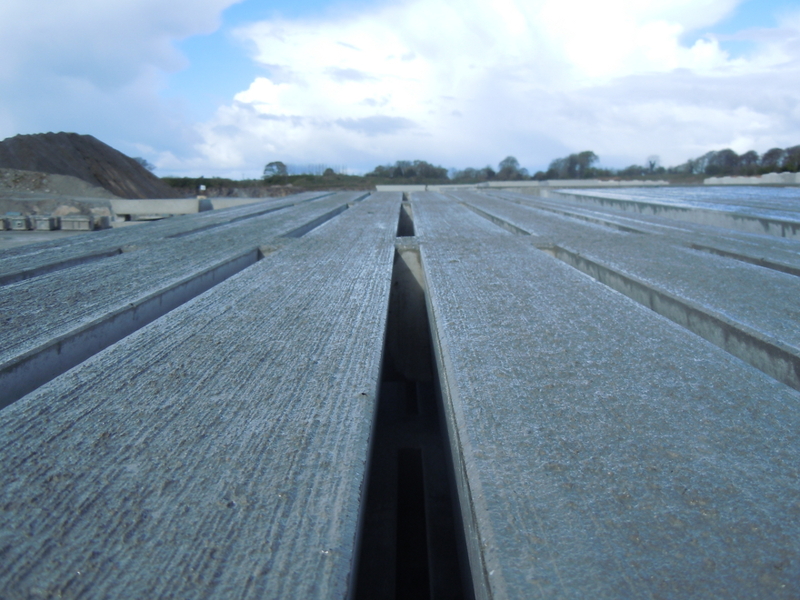 McGrath Quarries are leading suppliers of department approved Cattle Slats. 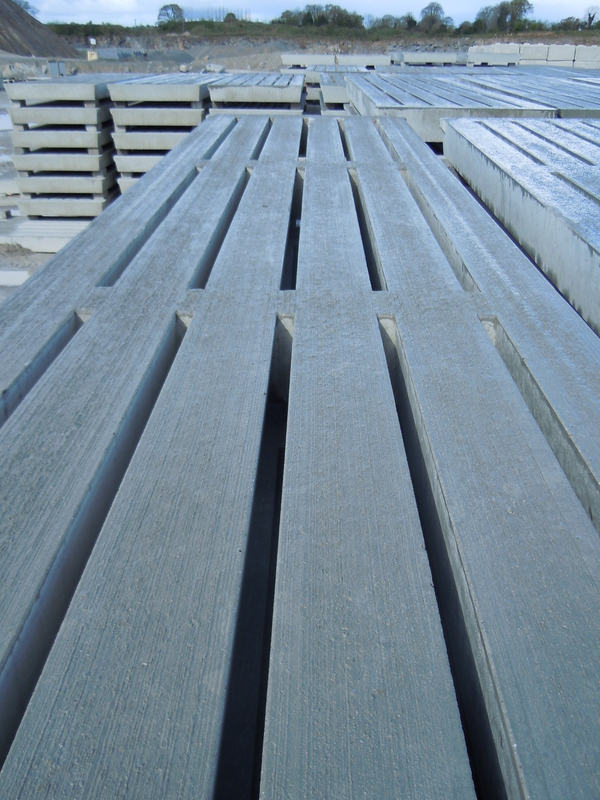 These slats are manufactured at the Quarry in our own modernised production facility. Our slats are continually tested to ensure that quality & strength is maintained. All slats are available in both Standard and Tractor grade. Galvanised Safety Manhole Slats and Manhole Covers are available in all sizes providing safe access points for agitation and extraction of slurry from the tank. 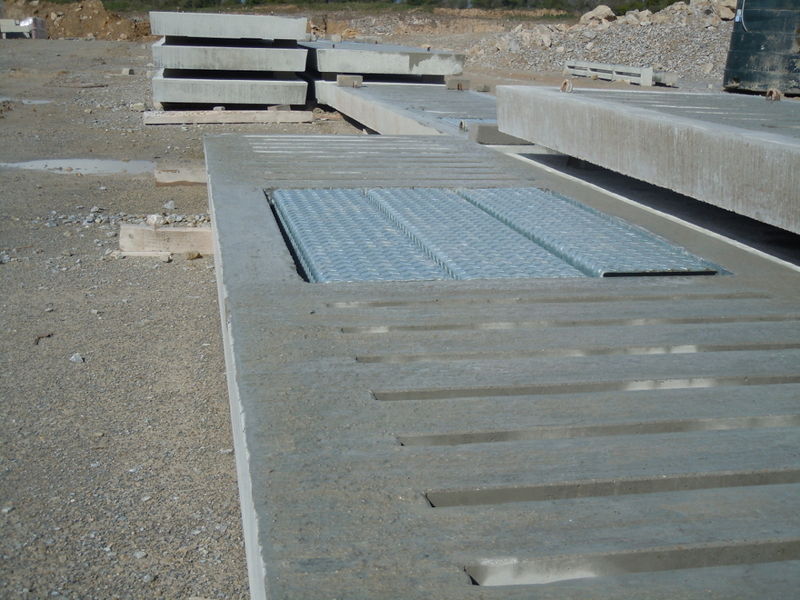 Manhole Slats with Concrete inserts also available. 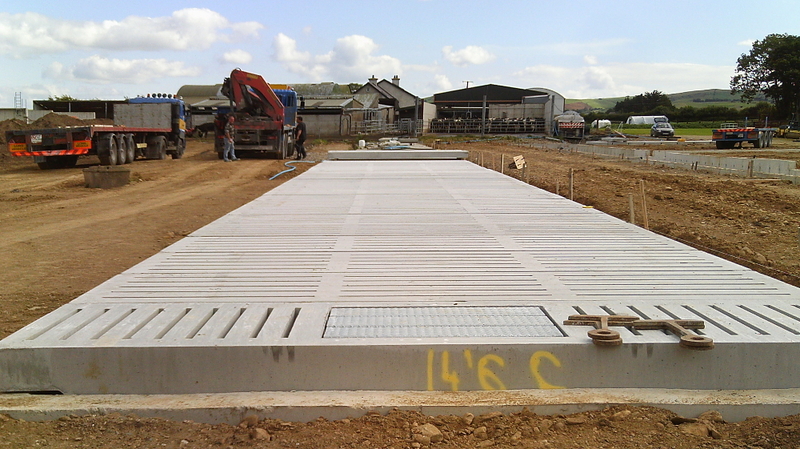 We also manufacture Scraper Slats and Agri Slab for suspended central passages. Slats require a minimum of 150mm (6″) bearing at each end. 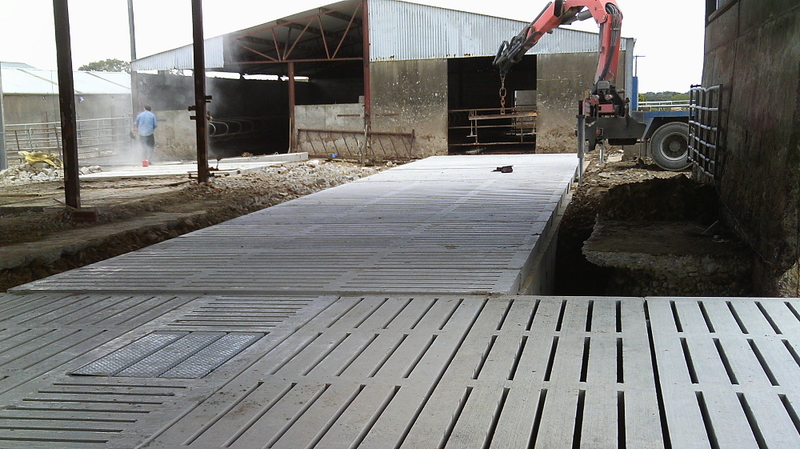 Slats designed with a smooth yet non-slip surface to provide greater comfort for the cattle. 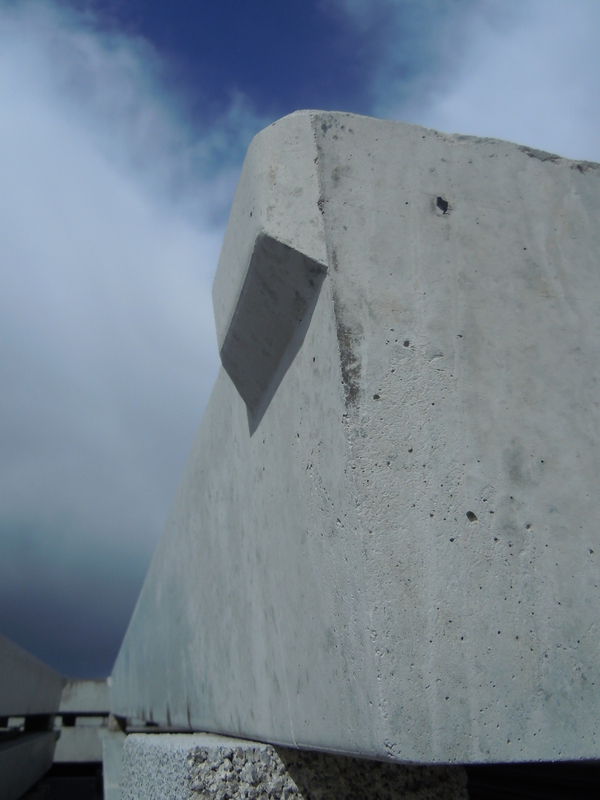 Slats are manufactured from a high strength concrete for greater durability. Slat Trucks with mounted cranes are used to place slats in an efficient and safe manner.